As of the second quarter, the U.S. had 321.7 million mobile subscribers and four major carriers. One of the four, T-Mobile, says that the market is too small to allow four large mobile operators to thrive. Meeting with shareholders, T-Mobile COO Jim Alling said that there could be consolidation in the future that reduces the number of major U.S. carriers to three. He says that such a move is possible now and is "likely in the long term". This almost took place last year when AT&T made a $39 billion bid for T-Mobile. Regulators balked at approving the deal and AT&T eventually rescinded the offer. Two of the top four carriers in the states are currently involved in potential deals. Japan's Softbank is shelling out $20 billion for 70% of Sprint, a deal that gives the carrier a capital injection of $8 billion to use toward its LTE build out. Yesterday, Sprint asked the FCC to sign off on the deal. The other deal features Alling's own firm in a take-over of MetroPCS. The deal is one of migration, getting MetroPCS customers to migrate over to T-Mobile phones and its eventual 4G LTE pipeline. Alling probably wouldn't make this comment unless he thought that T-Mobile would be a survivor. But right now, the smart money is betting that Softbank-Sprint will probably takeover T-Mobile down the road. Even Sprint CEO Dan Hesse believes that this will happen. And having three major carriers serving a large population is something that is actually being done already in China, the largest smartphone market in the world. There, China Mobile, China Unicom and China Telecom handle more than 1 billion mobile subscribers. T-Mobile sees an opportunity despite the lack of LTE service at the moment. CEO John Legere says that an aggressive roll out of LTE might be able to help T-Mobile grab market share at the expense of AT&T and Sprint. The former has 103 LTE markets and the latter just turned on its LTE signal in June. Verizon has 440 LTE markets at present, to lead the way. beleive me, its not that silly girl keeping tmob afloat! This is America lol! Attractive women influence every aspect of our lives, decisions, and culture! If t-mobile had some random dude then their sales would plummit! I actually knew a family that owned a t-mobile authorized reseller company that had 200 stores in the nation and he had record sales during the month off July 2012 when he announced that those who purchased a phone through them would be entered in for a chance to meet the t-mobile girl haha! Interesting how some claim that the U.S. market is not large enough to support 4 major carriers, yet there are more than 4 regional carriers who are doing just fine, thank you. In fact, T-Mo just acquired one of the regionals. Sprint was not doing "just fine" and T-Mobile would not be expressing their concern if they were doing "just fine". Sprint and T-Mo aren't regional carriers, which was where the doing just fine comment was directed. Wha?! They ARE regional carriers, or atleast struggling ones. North American region to be exact. H2O, simple mobile, Net10, and even Metro are not because they only cover small sections of the US (not enough to claim majority coverage). Now you are being pedantic. And a good day to you. Thats one way to avoid a saying anything dumber. I bet you use that a lot. Cant debate over stuff you dont know about so just walk away. Maybe Tmobile should take the lead and do some changes. Lower phone prices cheaper plans work on being a even better budget carrier. i feel as if they are the budget carrier, if only they expanded their coverage even further then even i would switch, i have been with verizon and the only thing that ever keeps me with them is consistancy with coverage and never being in a dead zone. I live in southern utah and Verizon is the ONLY carrier that doesnt have a dead zone, tmobile barely even exists down here and att is a joke out here as well. Well, I hate to admit it but besides limited coverage, this is another reason why I was hesitant to make the switch to T-Mobile. This is cool... in Macedonia a very small european country with only 2 million population we have 3 companies: T-Mobile (former Macedonian National Telecom operator) aprox 45%, ONE (Slovenian telecom) 30% and VIP (Vodafone) 25%. All working with profits. The importand thing is that in Macedonia is overed with mountains and full coverage is hard to achive, you need a lot of cellular towers to be put on the hills. Prices per minute are from $0.064 to $0.14 / SMS =$0.08 or less. Yeah.......cause you guys have close to a quarter of the world's population, so no surprise there. I would guess/hope sprint fails and T-Mo takes its place and many of its subscribers. GSM carriers are traditionally stronger long-term, and have better long-term plans. You are a moron. Why would you hope that such a big company fail? Have you thought about what that could mean? 1000's of people will lose their jobs. You are correct that GSM carriers traditionally are stronger but not here in the states, Verizon and Sprint have over 50% of US cell subscribers. Sprint will be more then okay now that they have some cash. By the way, Sprint's and Verizon's rollout of LTE (GSM technology) is leading a path towards their eventual migration to only GSM or until something better comes out. if you were hired to work for sprint, you would also be the first to be fired! Switzerland has THREE major carriers...and a population of ~8 Million. Sounds to me like T-mobile management has no idea what to do with the billions it got from AT&T ( due to the failed merger) and is once again looking to shop itself around for the next sutor. Bulls**t. There's plenty of room for even more than 4. The issue is, we actually have two truly national carriers, and two that are barely above regional. Spend the money you got from ATT on building out your network, and upgrading to LTE. If you want to be successful, you've got to offer something compelling. Coverage and value. Whiners. I really hope Google jumps into the carrier business and schools them all. If the T-Mobile execs were smart about the money they make and stopped focusing so much on "having the fastest 4G around" and instead focused on expending their coverage which would in turn bring new customers and weaken the other carriers than they wouldnt have to worry so much and pretty much begging to be bought out by one of the larger 3 carriers. I dont want a big four, i wish they had another POST PAID CARRIER to give the big four some serious competition. US Cellular is a great company but their only regional, we need a national carrier that isnt just pre paid. I hate pre paid, its going to put alot of POST PAID sales people out of a job and its essentially no profit for the carriers. T-Mobile sounds like they want to get bought out. Why dont Google just buy T-mobile and call it a day. 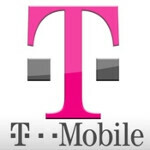 Hears a great idea.. Let a foreign company buy TMo and and not let another US company... Great idea. T-Mobile isn't a U.S. company. It's a subsidiary of Deutsche Telecom, which is a German company. "China Mobile, China Unicom and China Telecom" Chinese originality.